Our next stop, Kyoto, is a short train ride from Osaka. Once we arrived at our ryokan (traditional Japanese inn), we were treated to a private tea ceremony demonstration by the owner. She graciously explained the ritual and shared her pride in the quality of her matcha (powdered green tea), ceramics, and utensils. It’s a cultural experience not to be missed! After checking in, we headed for the Nishiki Market, a covered shopping area, to hunt for souvenirs. 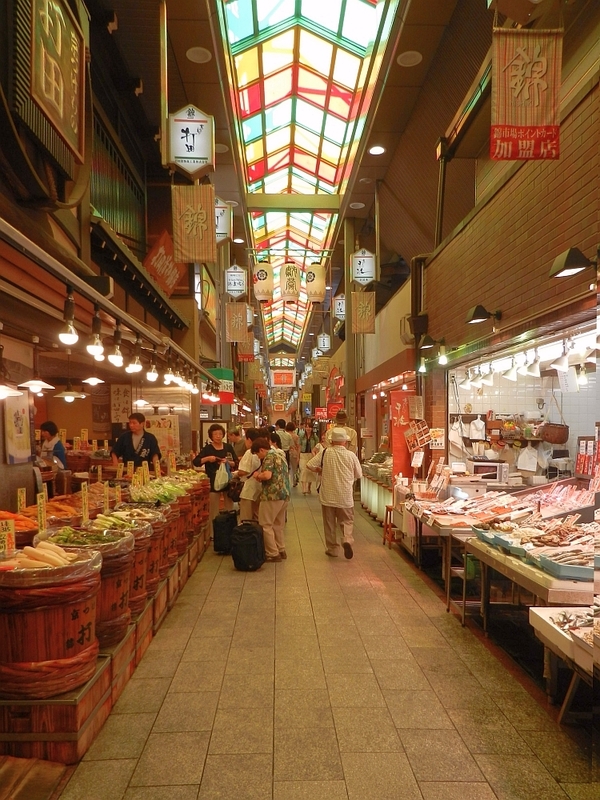 The centuries old Nishiki Market is also called ‘Kyoto’s Kitchen’ with more pickles than you can shake a daikon at! The narrow 5-block street is chock-a-block with over a hundred traditional Japanese food shops and eateries. It was a sea of local seafood (fresh and dried), meat, snacks, produce and cookware. 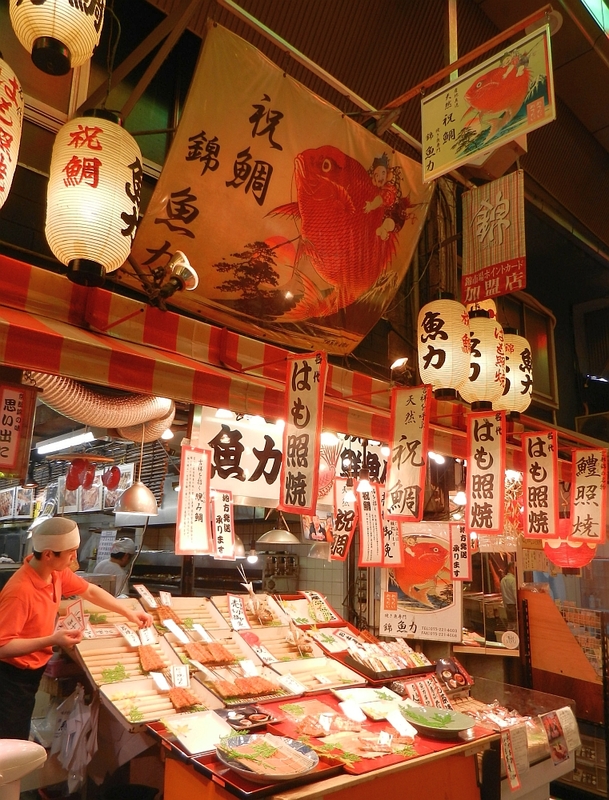 The market stalls are festooned with banners and lanterns. While it’s not quite like Costco, free samples, especially pickles and snacks, are available at many stores. A potential dinner choice, I was charmed by the eatery’s delightful contrast of textures and shapes between the weathered wood, smooth glass and straw-decorated plaster. 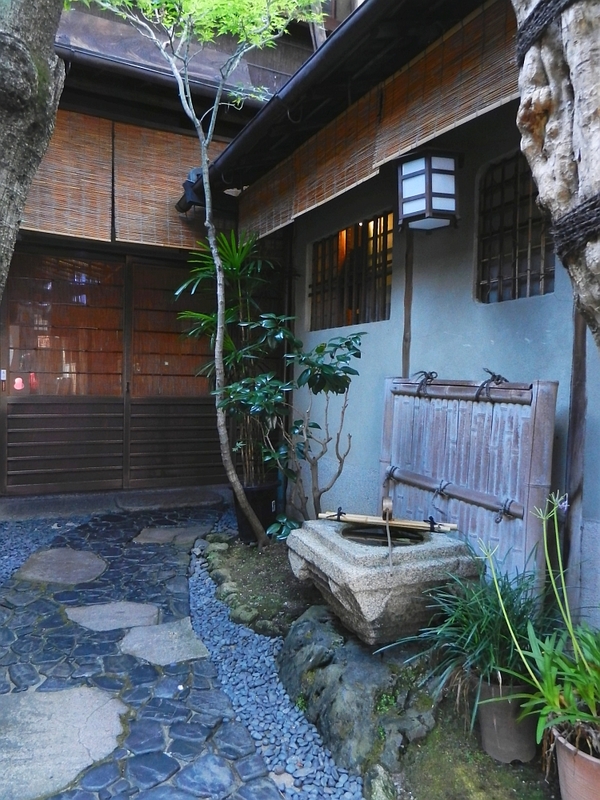 The serene setting is enhanced by the water vessel and carefully placed rocks on the walkway. 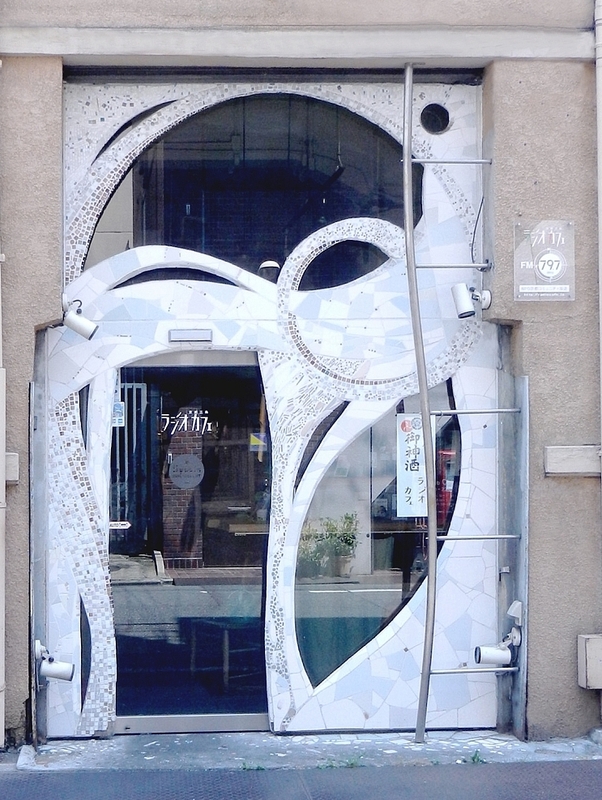 For a totally Western aesthetic, check out the elaborate tile and metal work of this bar! I saw some houses with charms above their doors. This one, written in kanji (traditional Chinese characters) states the family name and seeks to invite good luck while warding off misfortune. 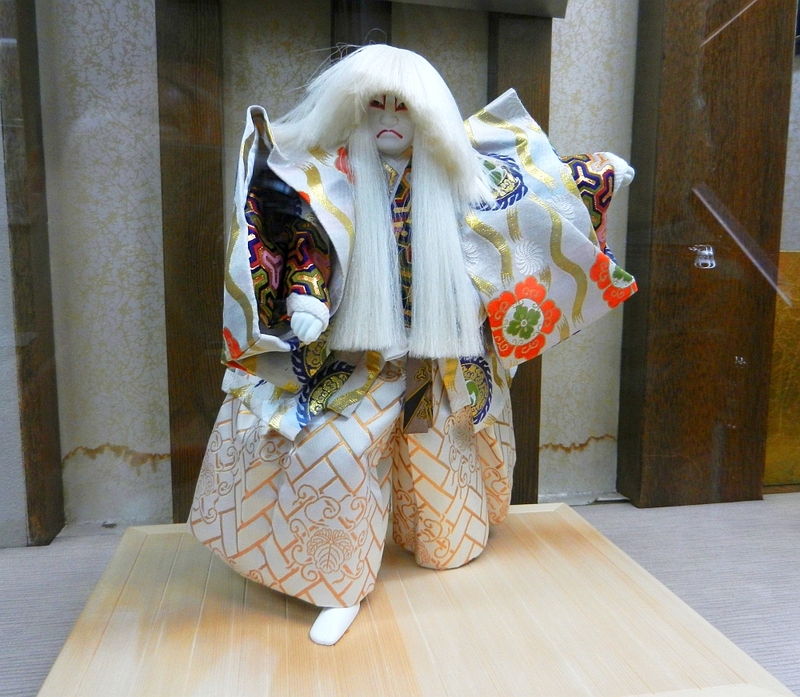 This beautiful doll shows a Kabuki actor with the white wig and traditional makeup used for the performance of Kagami Jishi or Dance of the White Lion. Hungry and thirsty from roaming the neighborhood, we stumbled upon this noodle shop. 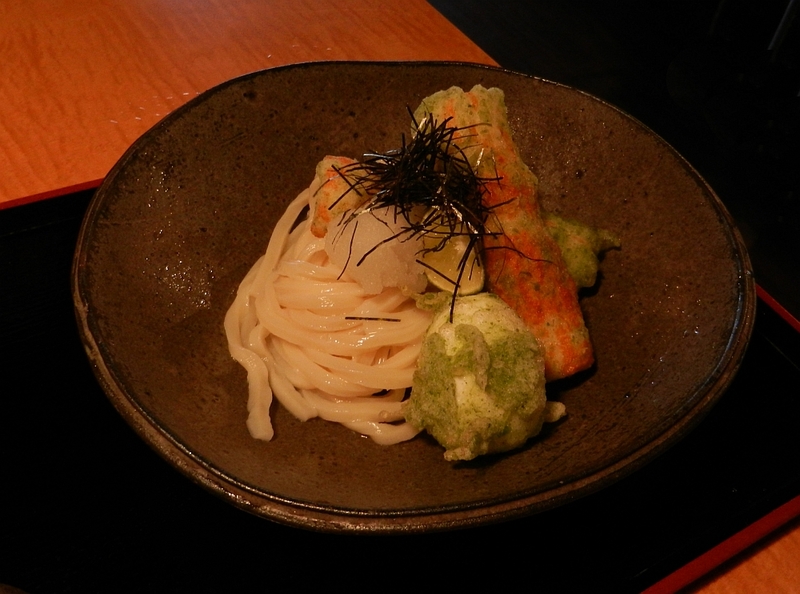 My refreshingly cold udon had the delicately chewy texture of fresh made noodles, while the accompanying tempura was light and crisp. 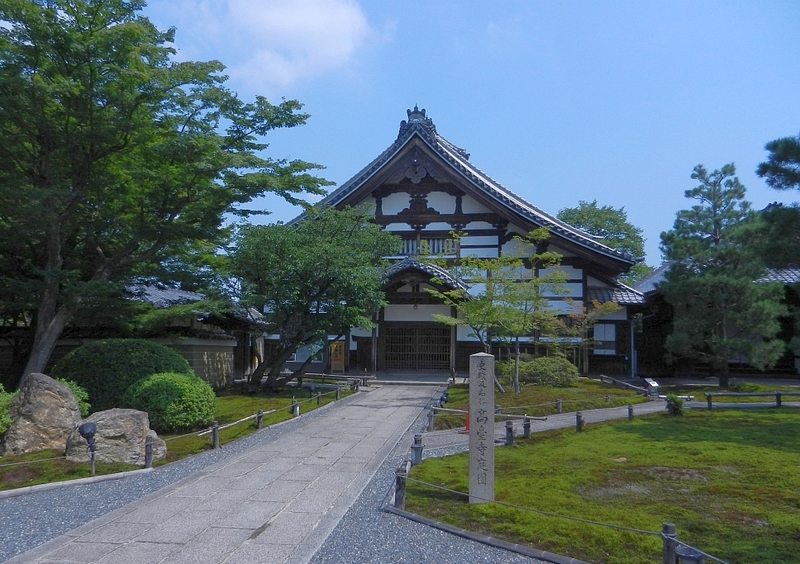 Memorial Hall of Kodaiji, a popular Buddhist temple in Higashiyama, Kyoto’s well preserved historic district. Kodaiji was established in memory of Toyotomi Hideyoshi, the daimyo (warlord) who unified Japan at the end of the 16th century. 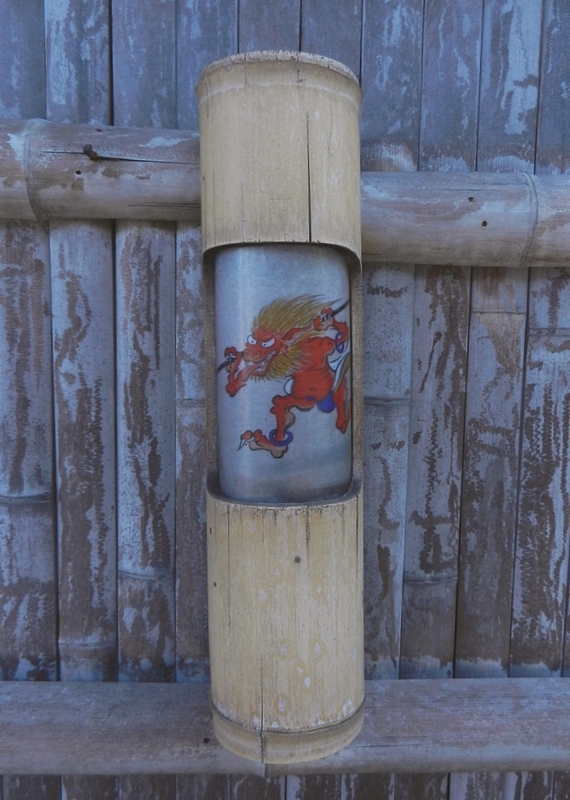 One of a series of goblin design lanterns installed throughout Kodaiji’s grounds. The goblin lanterns coordinated with the temporary painting exhibit we saw in the pavilion. It was a long scroll with a ghostly but humorous theme. 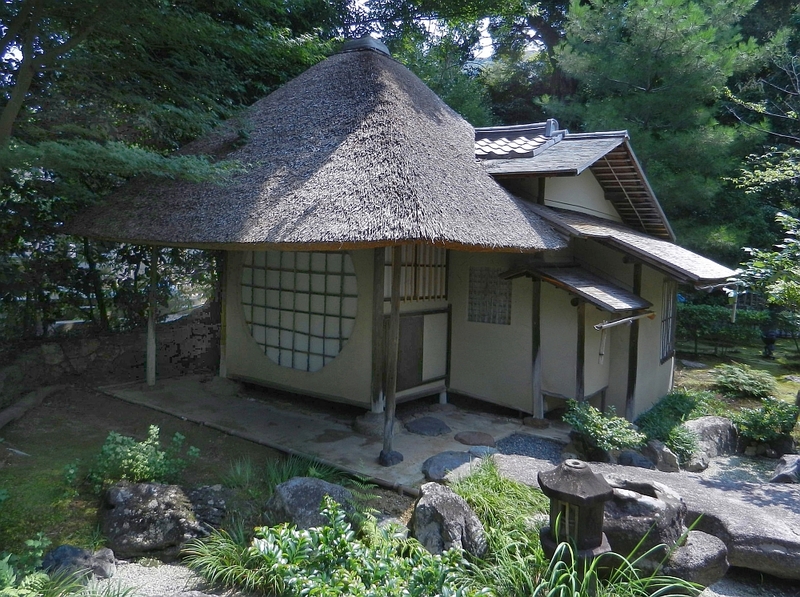 Tea house in Kodaiji’s garden was designed by famous 16th century landscape designer Kobori Enshu. Enshu was instrumental in shaping the tea ceremony into a tradition that celebrates beauty in the most rustic or simple looking objects. 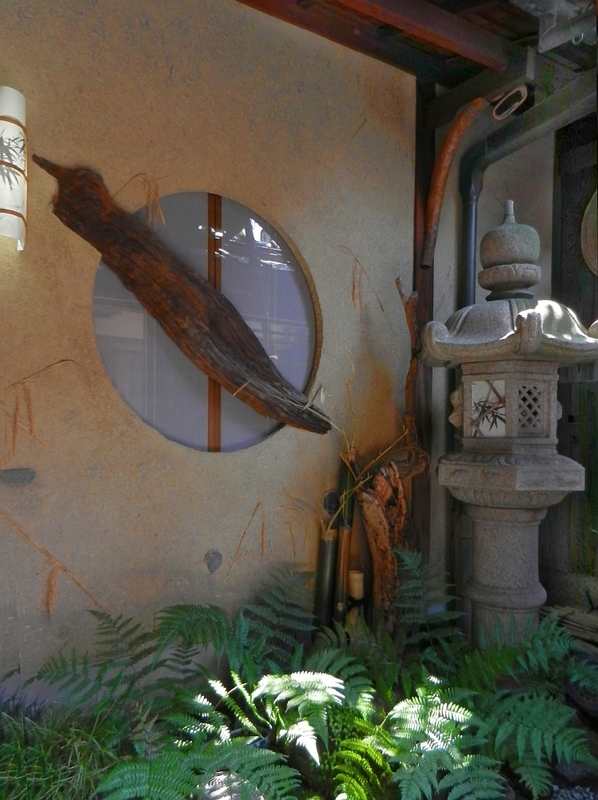 This tea house really exemplifies the Japanese aesthetic of wabi-sabi. 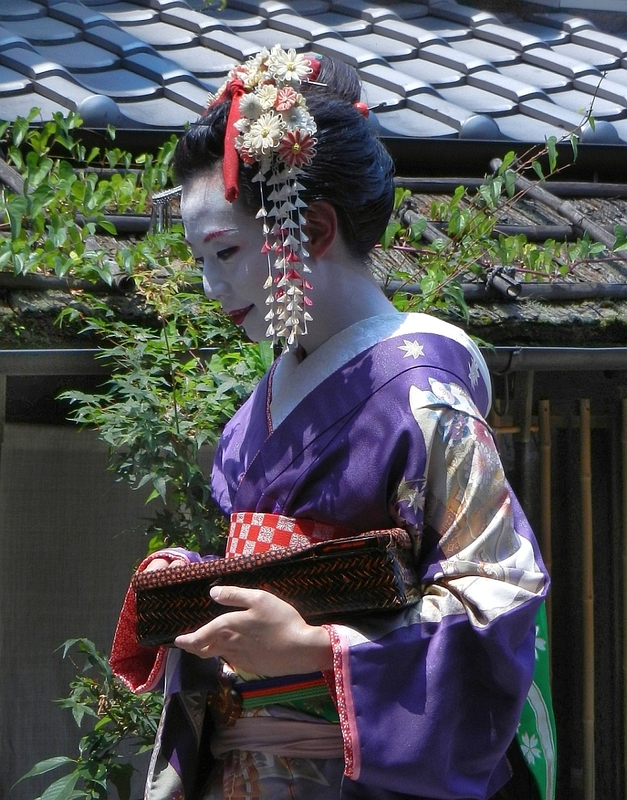 As we left Kodaji, I was really excited to see this Geisha go past us. Geisha up close and personal. Since there was a photographer in tow, I wasn’t sure if she really was a geisha or just a model dressed up for the photo shoot. Kiyomizu-dera, literally Pure Water Temple, takes its name from the waterfall within the complex and is a UNESCO World Heritage site. 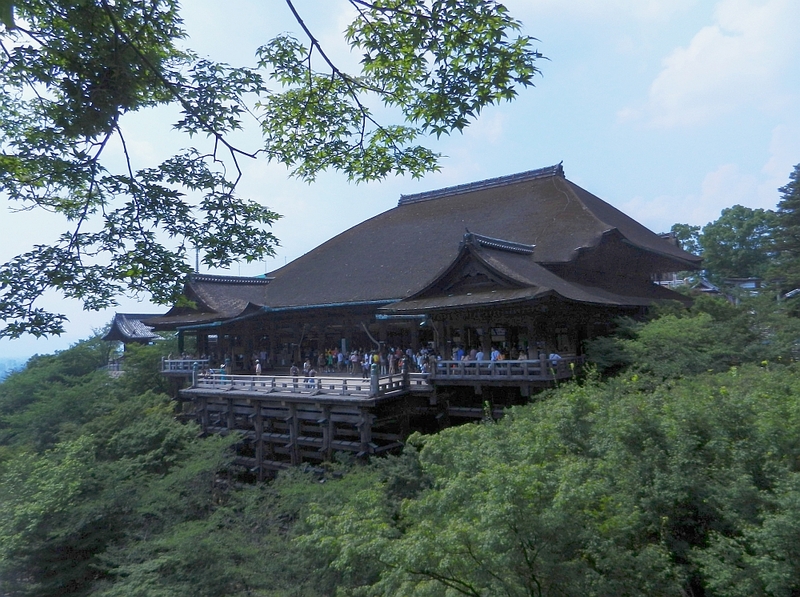 Kiyomizu-dera was constructed without the use of a single nail. The main hall is built over a cliff and features a large wooden veranda that is supported by 172pillars. The popular expression “to jump off the verandah of Kiyomizu” is the Japanese equivalent of “taking the plunge”. Though banned in 1872, believers used to jump from the 45 foot platform hoping their wishes would come true if they survived! Three channels of spring water fed by the Otowa waterfall pour down into a pond. 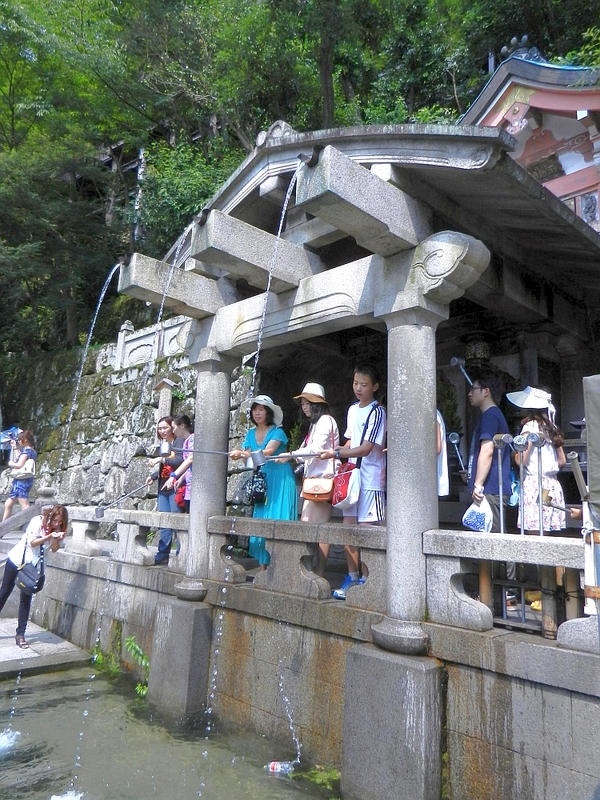 There is a constant stream of visitors lining up to drink the water, which is believed to have wish-granting powers. This being Japan, the long handled cups are returned to a sterilization rack which irradiates the cups after each use. Our guide said these stone statues have aprons put on them at different times of the year. 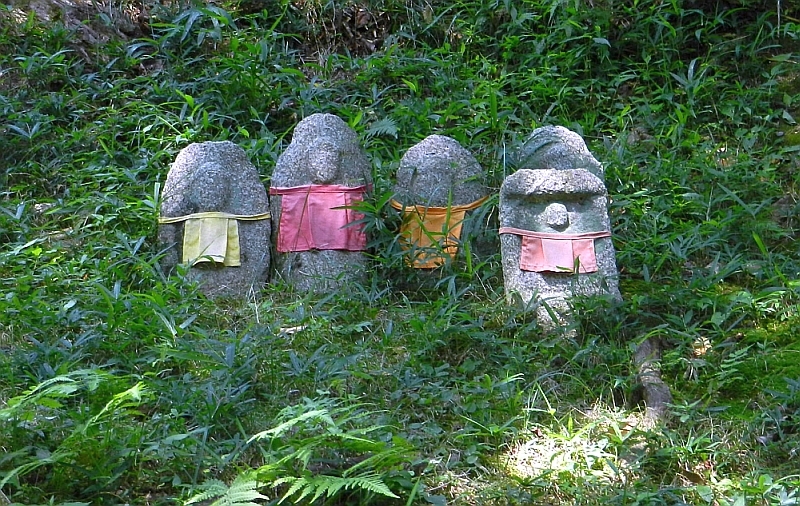 On further research, it seems the statues represent Jizo, a powerful deity. 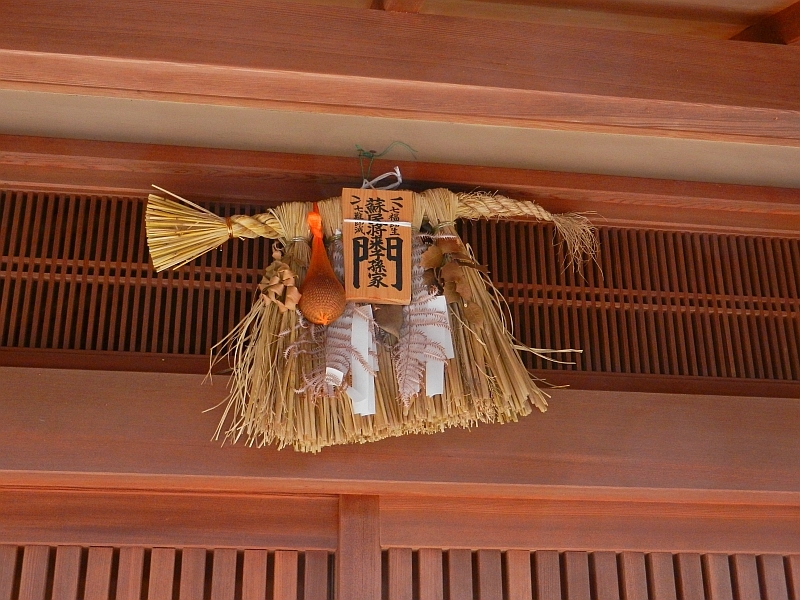 The aprons are placed on the Jizos by parents who lost children in hopes that the god will protect their souls. Jishu shrine on the grounds of Kiyomizu-dera. 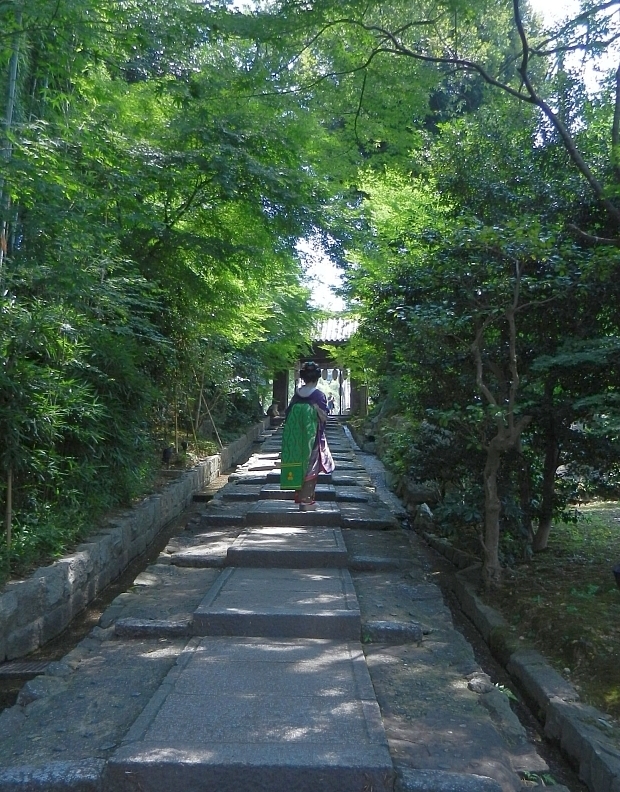 The Jishu shrine is in honor of the deity of love and matchmaking. 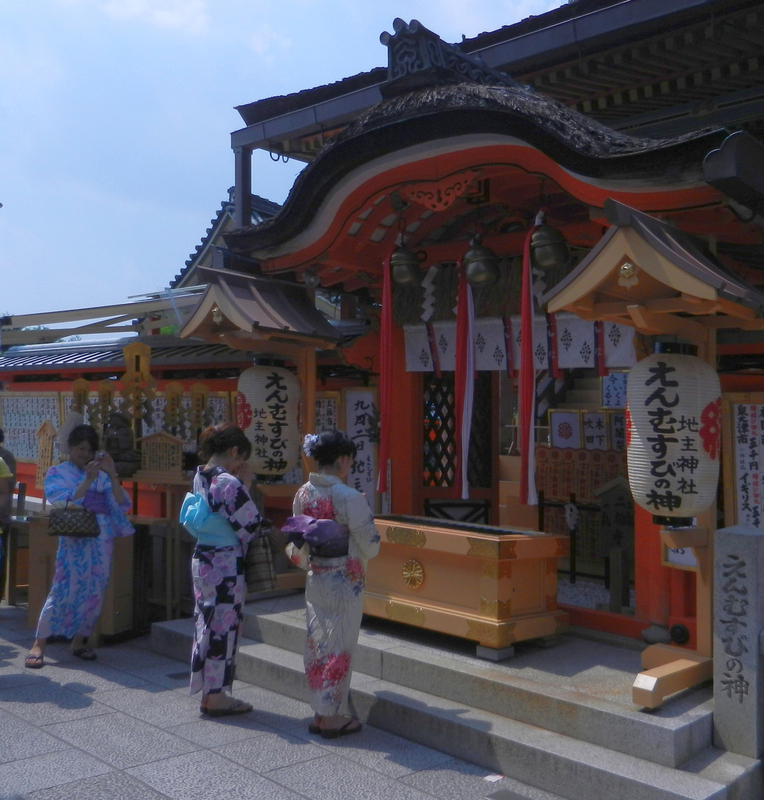 We saw plenty of kimono clad ladies or young couples who came to pray or have fortunes told. Better yet, anyone needing extra help can buy the good luck charms!